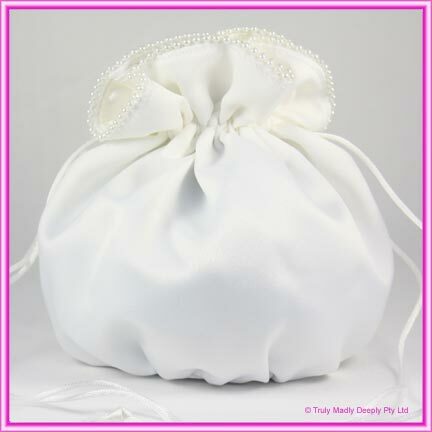 This premium quality bridal pouch is made right here in Australia. It feautres a superbly soft and luxurious white satin material and a rim of faux pearls around the top of the bag. The bag also has a solid flat base, which is also covered in material - this ensures that your bag will be sitting in a pretty, upright position, no matter where you leave it.